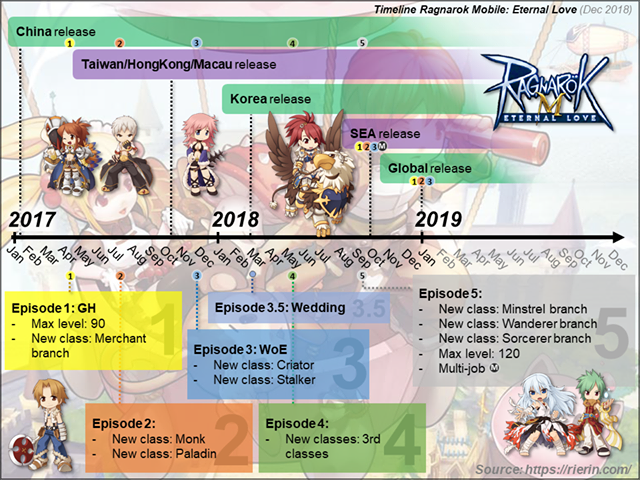 Broken, have refine level, have enchantment (Cat/Mora), have enhancement and have extra card socket equipment can be upgraded, I~III upgrade level (when equipment is not upgraded to another entirely new equipment) will not affect the mentioned effect/given stats. 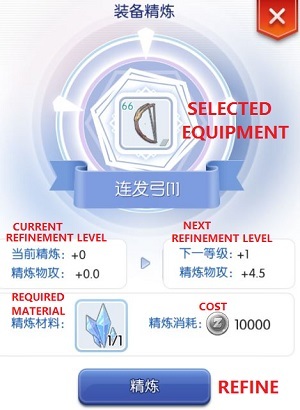 – Broken equipment will stay broken after END upgrade. 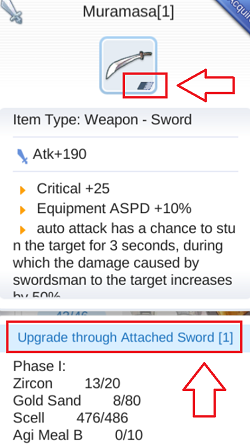 Upgrade (1st-3rd/4th Level) is add-on stats/effect to the base equipment, not replacement. 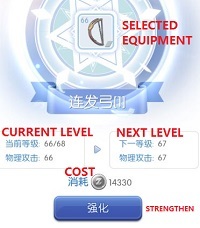 When you upgrade your equipment to END upgrade, the equipment will change into another entirely new equipment with new name. 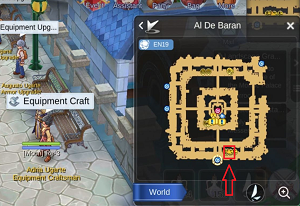 – Will follow the new equipment available card socket. 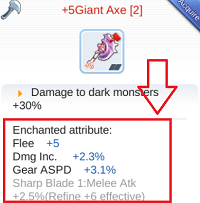 Check equipment info at Adventure Handbook for upgraded equipment card socket info. 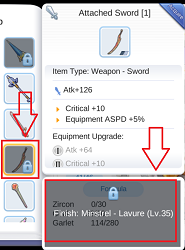 You have Attached Sword/ and want to upgrade to Muramasa. 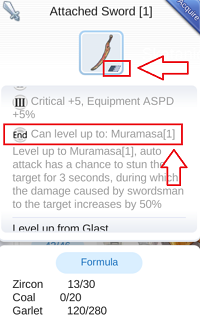 Upgrade result is Muramasa. 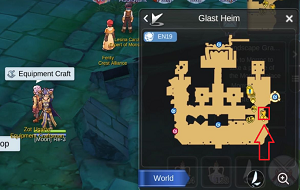 You can check the upgraded equipment card socket info at Adventure Handbook! 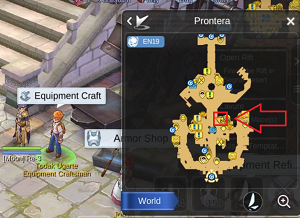 So don’t open extra card socket if you plan to upgrade your equipment! Save your ZENY $$! 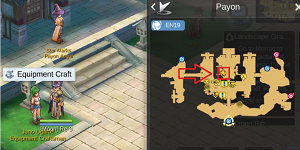 Extra card socket will be gone after upgrading to new equipment. 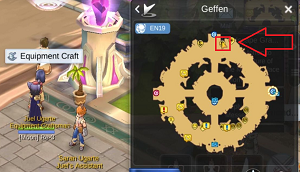 – Enchanted Attribute from Mora Coin/ Cat enhancement (Geffen) will remain after equipment upgrade. 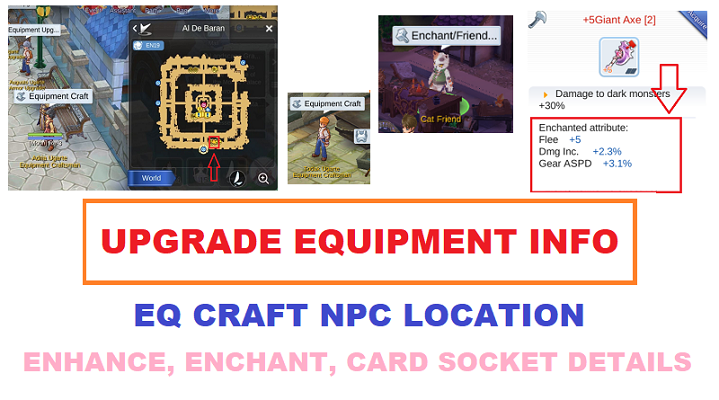 Note: Equip the equipment that you want to upgrade and talk to upgrade equipment NPC. 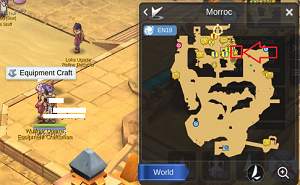 Upgrade equipment NPC map location is mentioned at the equipment description. 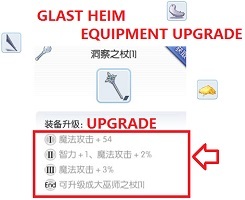 Glast Heim Upgradable Equipment List and needed material from tier I to tier IV/ END. Note: Most of the equipment available is in the list. 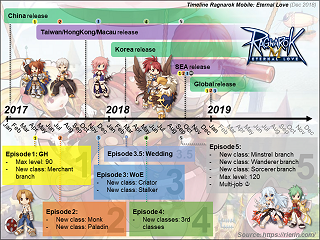 Rierin is still updating equipment list. Check Adventure Handbook, scroll down at right tab and click on last tab”. 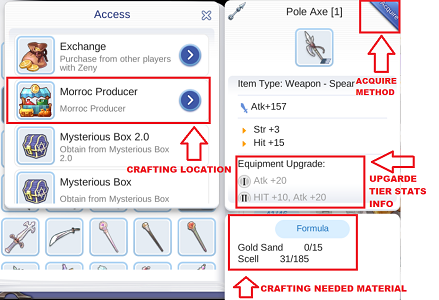 Select any equipment on the left to view equipment name, type, description, upgrade tier info, required material for next tier, where to upgrade and craft equipment. 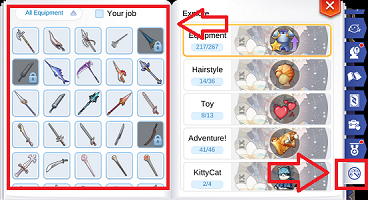 If the equipment is lock and grey out, it means your character haven’t unlock the crafting recipe. 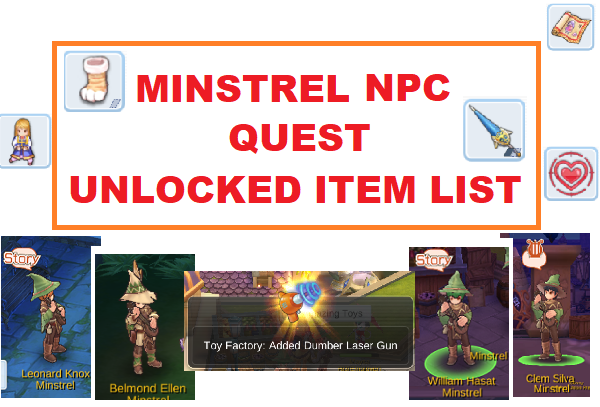 You’ll need to finish the mentioned Minstrel quest (Kill 300 monster quest) to unlock the equipment crafting recipe at the particular crafting NPC.